John Pope in the 1985 mini-series "Space"
Long before he was Jim Cutler, the oily ad executive on “Mad Men”, Harry Hamlin entertained audiences as a central figure in Greek mythology, a pioneering American astronaut, and as an idealistic, and at times crusading lawyer in Los Angeles. Such is the resumé of one of the best actors on television in the 1980s. 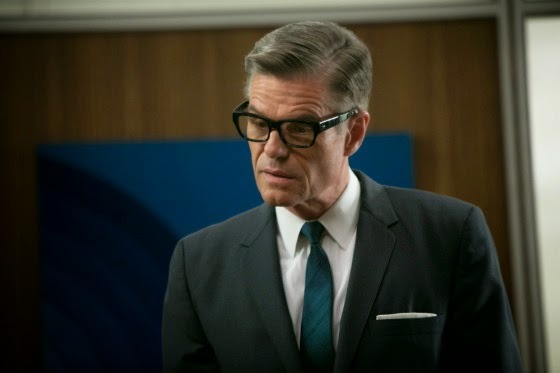 Still, Harry Hamlin turned in an amazing performance. Michael Kuzak, the conscience of "L.A. Law"
It was about a year later I read in one of the super market tabloids my mom bought that Hamlin was going to star in a weekly series centred on a law firm in Los Angeles. It would be called “L.A. Law” and catapult Hamlin to fame as lawyer Michael Kuzak. He left after the fifth season, after constructing a lengthy resumé of memorable performances that were at times touching and poignant, and at other times gritty and determined. There was also a comic quality that was all the more effective because he was so serious and intense. The best example was when he wooed love interest Grace Van Owen, played by Susan Dey, away from getting married, and he did it in a gorilla suit. It was priceless because it was so unexpected. It absolutely boggles my mind Hamlin was never even nominated for an Emmy for his role as Micheal Kuzak, when virtually everyone who acted around him was. I thought he was one of the anchors of the show. Perseus in "Clash of the Titans"
It was 1981 and my sister and I decided to go to a movie with my cousins Nina and Carl. We were kind of divided on what to see. Carl, in particular, really wanted to see “Clash of the Titans”. I wanted to see this other movie and, with a little friendly cousinly persuasion, Nina and Carl acquiesced. It was called “Raiders of the Lost Ark”, and we all agreed it was the better choice. Besides, Carl lived in the city and could pretty much go to the movies any day he wanted – so he saw “Clash of the Titans” another day. He still thought “Raiders of the Lost Ark” was better after that. Me, I never saw “Clash of the Titans” to this day. My only exposure to it was when they were giving away free stickers in something my mother bought at Safeway every week. Wagon Wheels maybe? 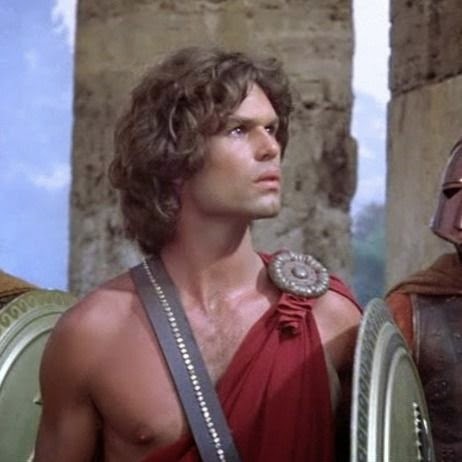 Only later did I learn Harry Hamlin had played Perseus in “Clash of the Titans”. came as Jim Cutler in "Made Men"
Not too long ago I watched the sixth season of “Mad Men” and was taken by oily ad exec Jim Cutler. He was at times a letch and greaseball, but also a layered character that was never quite what he seemed. 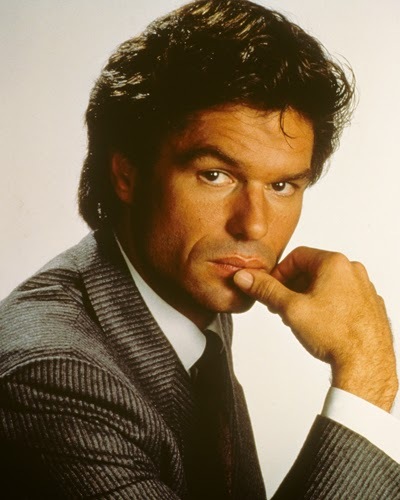 Although older and grayer, Jim Cutler was unmistakably played by Harry Hamlin. He did a masterful job and, for his efforts, was honoured with an Emmy nomination, something that had eluded him on “L.A. Law”. Seeing Hamlin on “Mad Men” inspired me to watch the L.A. Law reunion movie again on tape. The show takes place about eight years after the show ends. Michael Kuzak has stopped the practice of law and is now owner of a happening nightclub. He describes himself as a saloon keeper. Grace Van Owen, his longtime love, is a judge. The firm is still there, and still run by Douglas Brackman, although now his son has joined him as an attorney. Arnie Becker is still a philandering divorce lawyer, and most of the others make a cameo appearance. However, the main story focuses on a capital case involving one of Kuzak’s former clients. He has one last chance, having exhausted all avenues of appeal. His daughter begs Kuzak to represent him. After some soul searching, he agrees, and spends much of the movie getting his lawyer legs under him. What struck me was a scene late in the movie that typified Hamlin himself. Brackman is talking to his son and tells him Michael Kuzak is in court. Seeing him in action is always a sight to see. The same can be said of Harry Hamlin. Seeing him in action is always a sight to see.